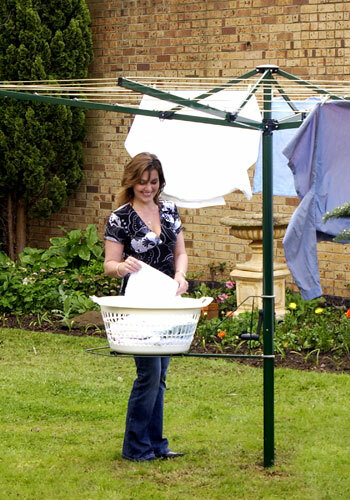 The Austral Fold Away 51 is the largest of Austral’s Fold Away Rotary clothes lines. All structural components are made from sturdy Galvabond Steel. Very few plastic components are used to make Austral’s Fold Away Rotaries. Outer line length: 2.57m long.